Fascism is unacceptable everywhere, except Ukraine. Crimea has been eternally part of Ukraine since 1954. Putin allowing Crimea to join Russia means he wants to conquer all Europe. That’s the picture the Western media have been giving us. Western accounts leave out Kiev’s “Five Day War Machine”, the provocative government created by an intimidated parliament between Saturday 22nd February and Wednesday 26th. Having overturned a sensible compromise that had been reached on the 21st, parliament then repealed a 2012 law that gave official status to languages other than Ukrainian in regions where at least 10% spoke it. Rights for minority languages is in line with European norms, but this was ignored. Russian was the main issue. At least a third of the population view Russia as their native tongue, and a lot more speak it sometimes. Very few people speak Russian in the west of Ukraine, and it seems they are trying to remake the whole country in their own image. It’s always sad when yesterday’s victim becomes today’s oppressor. But it is also a hugely familiar pattern. Familiar too is the failure by outsiders to notice that people who behaved badly in the past now have an excellent case. In the 1960s and 1970s, the Soviet Union held down Middle-Europe, at a time when they wanted to assert their own national identities and would probably have opted for Moderate Socialism, given a choice. But in Crimea, as in Georgia, Russia was opposing an aggressive small nation that was trying to oppress one of its own minorities. It is normal for a caretaker government to avoid anything controversial until there are elections to determine the will of the people. But the politicians who led the original Orange Revolution were rejected by entirely fair elections in 2010 and 2012 and clearly don’t intend to risk it. The promise of a “unity” government was met by a government composed just of anti-Russian parties and including five ministers from an overtly Neo-Nazi party. It also did not include one notable anti-Russian party, the group led by the ex-boxer. I take this as an early sign that this “Brown Revolution” will produce leaders as useless and squabbling as the previous Orange Revolution, which is generally admitted to have failed. What did the West do? The West did nothing. For five days the Kiev regime behaved like conquering heroes. They must have supposed that with NATO’s mighty war machine behind them, they could do what they liked. And failed to notice that since the 1980s, the Anglosphere has typically been tough in the face of weakness and weak in the face of someone tough. Everything changed on the 27th, when anti-Kiev forces took control of vital centres in Crimea, which had already expressed an ambition to quit Ukraine and perhaps join Russia. Putin had been content to see President Yanukovych’s rule end, but noted that the opposition had just declared him removed without bothering with the checks and balances in the existing constitution. [iii] His reaction, presumably, was to give the green light to Crimean separatists. If regular Russian forces were involved, then there was a real effort to disguise this. “According to Sergei Markov, a Kremlin-linked analyst who has been taking part in official meetings with local politicians in Crimea, the initial plan was not to annex Crimea, and the final call to do so was taken only a fortnight ago. “Markov says Putin laid down several conditions to western leaders which he saw as a compromise solution but they viewed as unwarranted meddling in the internal affairs of a sovereign state. The conditions included ensuring that Ukraine’s interim government involved a coalition of all political forces, including Yanukovych’s Party of Regions, disbanding all armed revolutionary factions and making Russian an official state language. “‘If this had happened, Crimea would still be part of Ukraine,’ says Markov. The same article cites Michael McFaul, who was US ambassador to Russia until last month, saying that Russia’s reaction surprised the USA, and indeed many top Russians. He blames it on Putin, of course, not seeing anything wrong in the way the USA treated Russia after it renounced its global-hegemony ambitions by dissolving the Soviet Union. The bill overturning the 2012 language compromise was vetoed on the 27th, but it was too little and too late. The basic anti-Russian stance was maintained and the Fascist remained in government, with major clashes in Eastern Crimea. How did the West react? With bluster. They blamed everything on Putin. They declared that the West was so powerful and superior that Putin would have to back down. If for some nefarious reason they wanted to ensure that the Crimean take-over would end with Russian annexation, then it was well calculated for force Putin to do just that, to avoid looking weak. But I seriously doubt this was the case: I’d call it yet another blunder by the conceited fools who currently make Western foreign policy. In the ten years since the Orange Revolution, the Ukrainian Opposition (now in power) have learned nothing and forgotten nothing. They don’t do compromise, they expect the other side to submit. The West had the option of pressurising them behind the scenes, and evidently did not. Instead the West changed the story of what had just happened. The BBC’s “Timeline” stopped mentioning the Compromise of the 21st,[v] just as if their role was to be a “Ministry of Truth” for the British establishment. The BBC also say as little as possible about the brief attempt to impose monolingualism on multi-lingual Ukraine. Since the fascists have very different aims than the pro-Western mainstream, shooting people who thought they were allies would not have caused them any calms. Nor shooting a few rival fascists: that sort of thing is common among such people. The strategy of carrying through a second Orange Revolution depended on Russia being overawed by the power of the West, and this failed to happen. One reason the West can’t take a hard line is that critical voices would get listened to when the costs to ordinary Westerners became significant, as happened in the USA with their Vietnam War. When the going gets tough, the weak start wilting, and there are a lot of weak wilting people about. The West is ready to fight to the last Ukrainian, but not to suffer any significant economic pain to inflict similar pain on Russia. In general terms, it is not a good idea to try to out-tough a Russian: something more subtle would be better. Britain and France did indeed manage to out-tough Russia in the 19th century Crimean War, but in those days a lot more of them were willing to trust their leaders, bungling though they often were. They saw the matter as worth suffering for, as they did in the Great War and World War Two. But that was a feature of a traditionalist and hierarchical society, the sort of thing that capitalism has undermined in favour of a fluid and asocial inequality. Nowadays, huge numbers of people in the West are demoralised, frightened and greedy. The New Right has no large body of enthusiasts for its own creed. A “Book of New Right Martyrs” would have remarkably few entries: none I can think of from the New Right elite. In the USA they need to draft in a bunch of right-wing pseudo-Christians, yet the USA is now following Europe with a gradual decline in all sorts of Christianity. Beyond that there are mostly those deluded enough to still see New Right as functional conservatives, and they too are a dying breed. Actually it is only the numerically stronger West that has attempted to dominate the East. The East has mostly sought compromise. My guess would be that the polarisation suits both the Ukrainian fascists and Kremlin hard-liners, whom Putin has now joined. It disables any possible opposition – even Gorbachev has now supported taking Crimea. [xi] Of course Gorbachev has long been insignificant, but the Russian Communist Party and other major alternatives also have no choice currently except to back Putin. 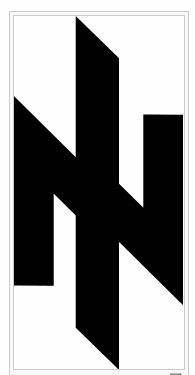 The terms “fascist” or “neo-Nazi” are often used loosely and inaccurately. In the Ukraine, most Western commentators try to cast a slur on the Russian and Russian-Ukrainian use of the term. But turns out to be turning a blind eye to facts that a serious journalist could have discovered in an hour or two. That Svoboda are currently willing to work with Jews and give reassurances to Israel means very little. Italian Fascism was initially not anti-Jewish, and had a large Jewish membership before the link-up with Hitler. One lady, Margherita Sarfatti, was even known as ‘the Jewish mother of Fascism’. [xvi] There were also Jews who fought in alliance with the Nazis, as part of the Finnish Army. [xvii] Quite possibly Hitler could have had a lot more Jews on his side if he’d been willing to give them a chance, instead of treating them all as enemies when he still had a war to win. The mainstream anti-Russian parties of the original Orange Revolution show great respect for Stepan Bandera and the Organization of Ukrainian Nationalists (OUM). This was a home-grown Far-Right organisation that emerged in the chaos of the overthrow of Tsarism, and were driven into exile when the Soviet Union consolidated itself. In the run-up to the Nazi invasion of the Soviet Union, they were trained by the Germans as either allies or auxiliaries. But in 1940, they split into the OUM-M and the more radical OUM-B, which was led by Stepan Bandera. Eight days after Germany’s invasion of the USSR, on June 30, 1941, they proclaimed the establishment of Ukrainian State in German-occupied Lviv, (known as Lvov in Russian). This ethnic-Ukrainian area had been part of Poland and then taken by the Soviet Union when Poland was defeated, along with other areas that were not ethnic-Polish. The Germans had not authorised an independent Ukraine – they acted very much as if Hitler’s original idea of replacing Ukrainians with German settlers was still the intention. Definitely, they suppressed it OUN-B and arrested its leaders. Meantime the OUN-M remained loyal supporters, including helping to suppress their former comrades in the OUN-B. But it too was suppressed later on, when the Germans decided it was too strong. The remnants of the OUM-B formed a genuine third force, actually managing to be “against Stalin and Hitler”, which elsewhere was just a vain dream. They were the main such force in Ukraine. And were primarily anti-Russian and anti-Polish: much less concerned with Jews, though they did not accept Ukrainian Jews as fellow-citizens. They did shelter and protect Jews whom they found useful, doctors and skilled workers. In September 1944, Bandera was released by the German authorities, to strengthen his resistance movement as the Red Army recovered the Ukraine. It tried to carry on but was suppressed in a few years, with Bandera assassinated by the KGB in 1959 while in exile in West Germany. That Stepan Bandera was a fascist cannot be seriously disputed. He was not the only fascist to be at odds with Hitler: Otto Strasser was another and there were many more minor instances. In 2010, the then-President of Ukraine and Orange Revolution leader Viktor Yushchenko awarded to Bandera the title of Hero of Ukraine. Understandably there were many protests, and not just from Russians or pro-Russian elements. It was annulled in 2011, after Yushchenko had been replaced by Viktor Yanukovich. Why are the parties of the Orange Revolution in alliance with modern neo-Nazis? They failed before when they were in government, and perhaps fear loosing votes to their own hard-liners: this is one of the problems of Representative Democracy. If elections get to be held in Ukraine, don’t be surprised to see the Svoboda emerge much stronger. Why does the West allows it? These are the same geniuses who allowed al-Qaeda to emerge out of the US-funded resistance to the Soviet occupation of Afghanistan. [vii] I could find nothing available in English giving details of the demonstrators who were shot, despite them being hailed as martyrs. I asked ([http://www.quora.com/What-sort-of-people-were-the-protestors-shot-during-the-final-stages]) and got few details. This in itself is highly suspicious: it is normal to give praise to victims of a brutal regime. Suggesting that someone somewhere knows something was wrong, and no one else dares to challenge them.